The Muir of Ord Hall and Facilities Company is delighted to announce the appointment of Mrs Hannah MacSween to the key role of Community Development Manager. Hannah will start on 2nd November 2015 and her post will continue for 2 years. 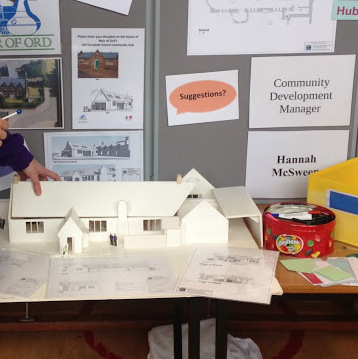 Hannah will work with the Board and Community Development Group to ensure the community hub becomes successful in meeting the needs of the people of Muir of Ord. Amongst her various duties, she will support local interest groups, recruit and train volunteers and generally get things ready for the opening of the hub next year. Originally from Shetland, Hannah has been working with the British Red Cross in Glasgow as their People and Learning Manager for West Scotland. Her husband is already employed in Inverness and they are currently house hunting in the Muir of Ord area. She will work closely with Nina Graham who is the Company Development Manager. There will be more information about Hannah’s activities once she takes up her post in November.